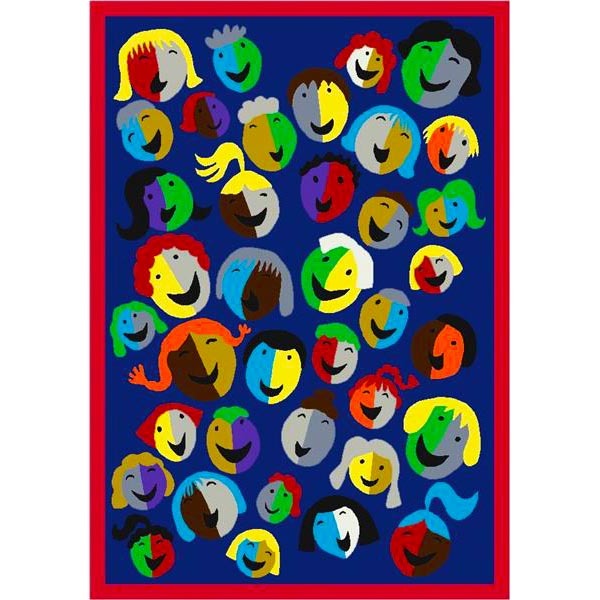 Celebrate diversity with the Joyful Faces Pattern Rug from Joy Carpets. This colorful school rug provides a comfortable place to gather during group time, while emphasizing the beauty of our multicultural world. The Joyful Faces Pattern Rug is available in several colors and sizes. At SCHOOLSin, there's only one thing we love more than school furniture — happy customers. So give us a call at (877) 839-3330 if you have any questions regarding our school rugs. A member of our friendly customer service team will be happy to assist you.